As she walked up to the front porch, she found him lying on his back on the old weathered bench that her father had made. His body was too long now to fit all of it on the narrow top. At first she thought he might have been sleeping, his head was motionless, but his dark eyes were wide open, staring up at the ceiling. One arm dangled over the side, his long fingers moved back and forth brushing the floor. His other arm rested on his chest. His bent legs hung over the end, his feet planted on the floor anchoring him. Her father, his granddad, fancied himself to be quite the carpenter. His creations were crafted from tossed aside lumber he brought home from the mill where he worked. The benches were his specialty. He always painted them the same color, Marine Blue. He was quite proud of his “original” design of the cut out legs he attached to each end. 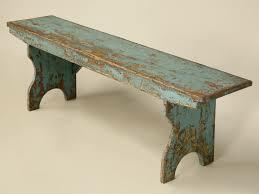 All of her brothers and sisters had one of the benches on their porches. By now most of the paint had faded and chipped. Splotches of bare oak were visible, creating an original design of their own. She stood quietly for a moment watching her son and remembered the many lazy summer days she spent laying on such a bench, day dreaming her dreams. Interesting focusing on the bench and not the dead body on top. Yikes.